Few tears were shed when Microsoft announced it was replacing Internet Explorer with a better web browser built from the ground up for users in 2015. Web nerds still remember the dark days of IE 6 when Redmond won the browser wars and promptly stopped developing new features. No one really ever loved Internet Explorer. 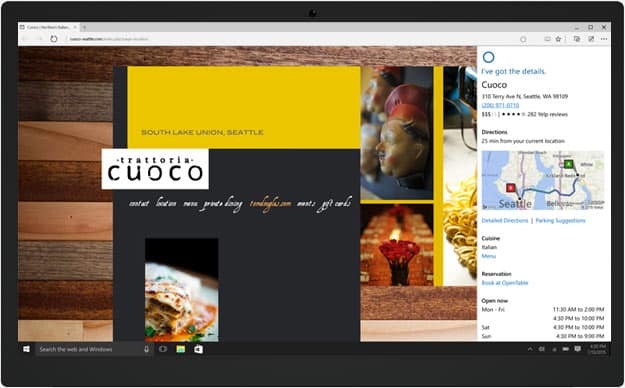 Microsoft unveiled a new browser that will ship with all copies of Windows 10. It’s called Microsoft Edge… a Windows browser with a blue “e” logo. Yep. Definitely different from the last version of Internet Explorer. While Edge isn’t out yet, we do know a little about it from what Microsoft has said publicly. This is everything you need to know about the new Edge browser. Microsoft has converted to the Chrome way of doing things. Edge will use an omnibar for search and URLs. Microsoft will try to anticipate your searches in a very Google Now-esque fashion. For example, searching “weather” will show the local weather in a small box above suggested searches. Edge promises to be a fast and lightweight browser for speedy web browsing. It looks a little lighter on features than Chrome or Firefox, but still good. Classic browser features like favorites, reading list, browsing history and downloads live under what Microsoft is calling the Hub, a glorified sidebar. Microsoft is also making a big deal out of its Web Note feature, which lets users annotate web pages with a compatible pen. Great news for Surface owners there. Microsoft is also building its virtual assistant Cortana into Edge. You can talk to the browser to get directions, make reservations and define words. Edge is designed to adapt dynamically to desktop and touch interfaces, allowing it to be used across both types of screen. This is such a better solution than keeping separate browsers for Metro mode like in Windows 8. Microsoft is being a lot more open with the development process of Edge. The Redmond dev team is keeping a blog for interested web devs to keep track of what’s coming down the pipe. One very welcome development included on Edge’s FAQ page is that it is built for compatibility. If you did web development in the past 15 years, you probably don’t like Internet Explorer. The older versions of the browser had a reputation for displaying content completely differently than Chrome/Firefox/Opera, making web devs code separate versions of their site for IE users. There will still be some browser-specific changes for websites that build for WebKit, though, as Microsoft is using its new EdgeHTML.dll rendering engine instead of Blink/WebKit. 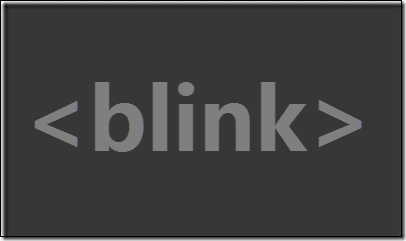 Redmond promises to make Edge “significantly more interoperable” with Blink/WebKit. Edge HTML is a forked version of the old IE Trident rendering engine. Microsoft wrote that it wanted to avoid a “monoculture” within web browsers by sticking to its engine. How Do I Download Edge? 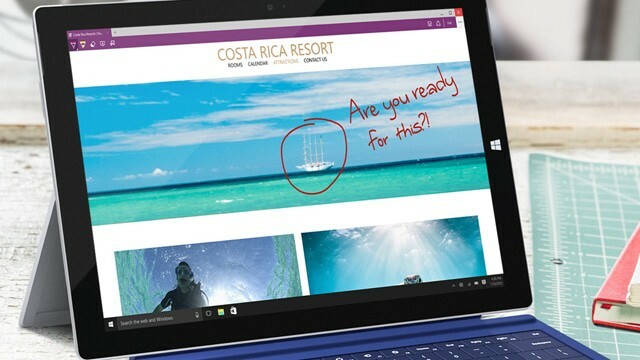 Microsoft Edge will ship only on Windows 10, as it is designed to highlight OS features such as Cortana. You can try it on the Windows 10 preview by pressing the Window key and searching for Spartan. Here’s a guide to installing the preview on your PC. Edge stacks up decently against other browsers, depending on the user. Microsoft is presenting this thing as a lightweight web portal for the unwashed Windows masses to use. Redmond appears to be building it more for casual users than browser nerds. Honestly, if you’re reading a tech website, you’re probably outside of their target audience. Case in point, Microsoft Edge will not support plugins or extensions for security reasons. They are working on an extension model in the future, but don’t expect it at the launch. When they do launch, word is that it’ll be easy to port Chrome extensions over to Edge. Another missing launch feature is Silverlight/Java support. There will be an extension to add support for that whenever Microsoft gets around to adding extension support, but they’re not building it into the browser. Edge will also not be open-sourced like Firefox and Chromium. Microsoft has made some promising steps in that direction, they’re certainly not Mozilla. Free software fans need not take another look here. I can’t fault Microsoft for any of the design decisions they’ve made so far with Edge. It looks like a good browser for the casual Windows user who just wants to get on the internet. Edge lacks a lot of features I personally would appreciate, such as extensions and compatibility with non-Microsoft platforms. The whole point of using Chrome is to have your data with you and Android, iOS, Windows, Mac, and Linux. However, Edge isn’t meant for me. It’s meant for the person who doesn’t really use computers and knows just enough to recognize the blue “e” as the internet button. In that sense, Microsoft has crafted something impressive. A fast, lightweight, no-nonsense browser that isn’t a huge burden on web developers could be exactly what we need.